The final round of the Injustice: Gods Among Us Battle Arena has come to a close. The fans have made their voices heard and we can now tell you that Man of Steel and Green Arrow, will be moving on to the semi-finals. Watching Superman and Green Arrow pull in victories only makes the wait for Injustice seem that much longer. Each new video provides excellent gameplay footage of how the game functions, and continues to allow the most devoted fans to begin forming their combat strategies. 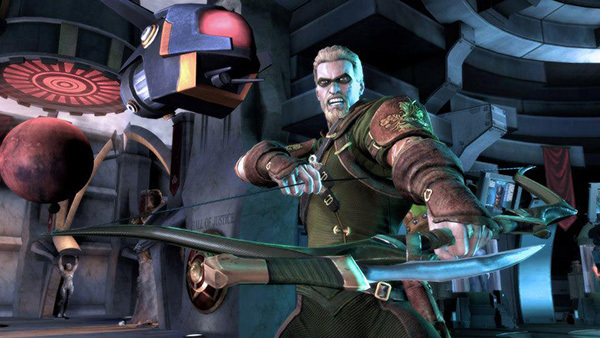 Will you rely on Green Arrow’s swift agility and deadly precision to bring justice, or will you tap into the Son of Krypton’s power? Luckily, DC Comics is working closely with NetherRealm in order to provide comic fans with a fighter that utilizes DC’s finest heroes and villains. While NetherRealm seems to have unveiled their full list of warriors for Injustice it still seems possible that the development team will unveil new combat arenas alongside the last three matches of the tournament. Considering that Mortal Kombat shipped with twenty-five stages, it seems likely that the team has quite a few more environments to reveal through the remaining match-ups. With the Battle Arena existing as such a huge aspect of Injustice’s marketing campaign, don’t get your hopes up that the studio will release information in any other way. The final matches will continue to roll out over the coming weeks, and it all leads up to the game’s April 9th release date. Be sure to keep checking back as the battle wages on, and a warrior emerges victorious. What are your thoughts on the Battle Arena thus far? Will NetherRealm reveal more game environments and fighters for Injustice: Gods Among Us, or is what we’ve seen so far all that NetherRealm has up their sleeve? Make your voice heard in the comments below!